Crammed between the parked cars in Culiacán‘s downtown you’ll find many street hawkers and wheeled carts selling from tacos to CDs, even fresh seafood, either to eat on the spot or to take away. 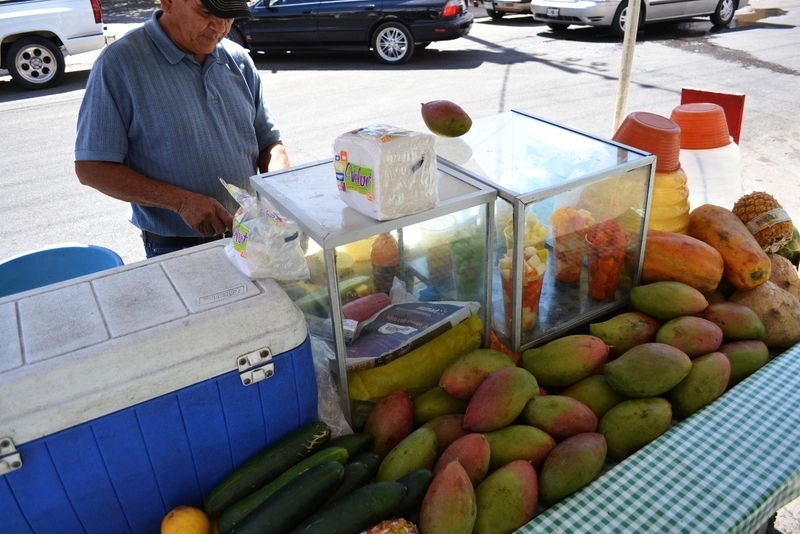 Last day we ran into a post selling fruta preparada: a mix of spiced fresh fruit slices. You can choose from pineapples, mangoes, cucumbers, papayas and jícama, sometimes even vegetables like cucumber and carrots, as seen above. After the fruit is sliced, they are drizzled with fresh lime juice, ground chile powder and salt. Tajin, Guacamaya and chamoy sauces are also choices for the spicy kick. Remember: in Mexico, the spicier, the better. 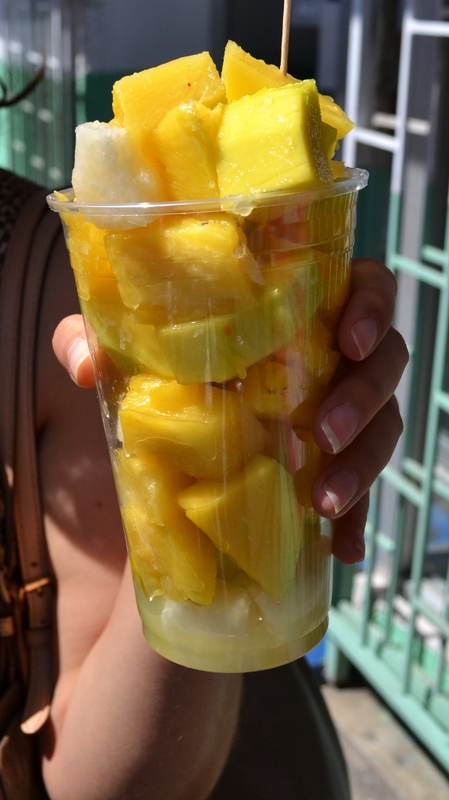 We opted for a mix of mango, pineapple and jícama, with lime juice and salt, and the result was both refreshing and spicy! Beach fruit hawkers from Mazatlán. Michelada beer; Mexican prepared beer.